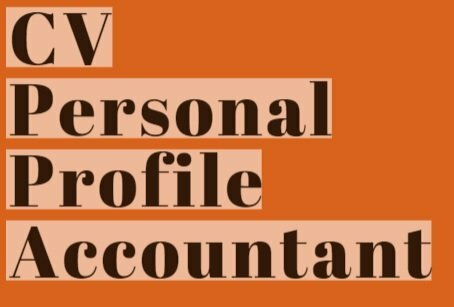 If you are a qualified Accountant who has recently graduated looking for a first role or someone with a few years experience looking for a new role in Accountancy then your personal profile needs to sell your skills and experiences to any potential employers. Employers will be interested in who you have worked for before, what type of clients, industries you have an understanding of and what you are looking to do in the future. A guide of a personal profile is shown below which can be adapted to include the places you have worked and the skills you have gained so far. I am a qualified accountant with X years experience seeking a new challenging role. I have been working with clients such as (name a few names) and dealing with accounts of (what size) and feel that I have learnt a great deal so far but am keen to learn more and develop my career much further. I am now seeking to work in (what type of environment, clients, size) for a variety and change to the way I have been working for a few years now. I feel that it is important to have a change to keep motivated and dedicated to your career. Having spent a lot of time with clients, I have developed my communication skills and feel that I am comfortable explaining accounts and ways that clients should be working and how they can improve their accounting procedures for the years ahead to make their businesses successful. I am keen to keep my accounting skills and qualifications as up to date as I possibly can through regular training and I am prepared to do this in my own time where necessary. I am very enthusiastic about helping clients to be successful and maintain good accounting records including helping them with their year end taxes and accounts.